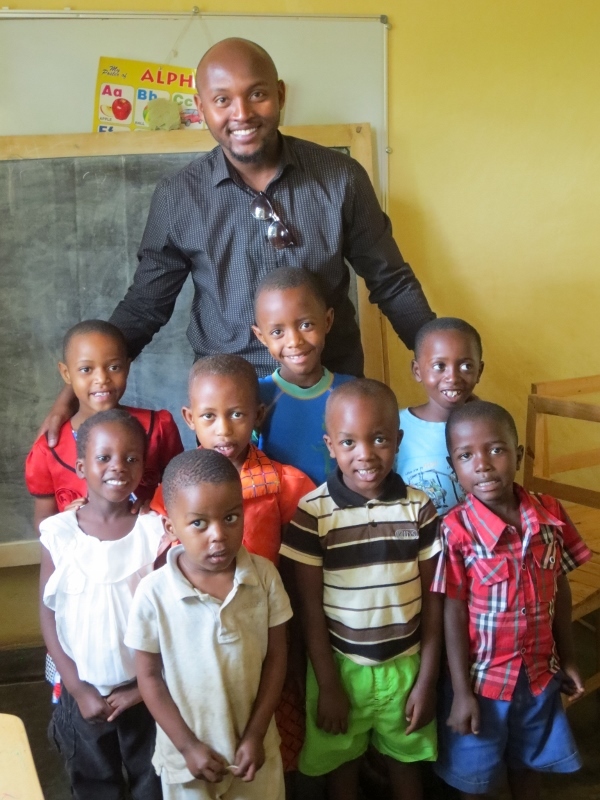 “I was moved by Parfait Gasana’s story of arriving in the United States at age 23 without being able to speak or read English, and that his salvation was a literacy program called New Haven Reads, started by the late Christine Alexander. Parfait did well, earned several degrees, and wanted to give back. 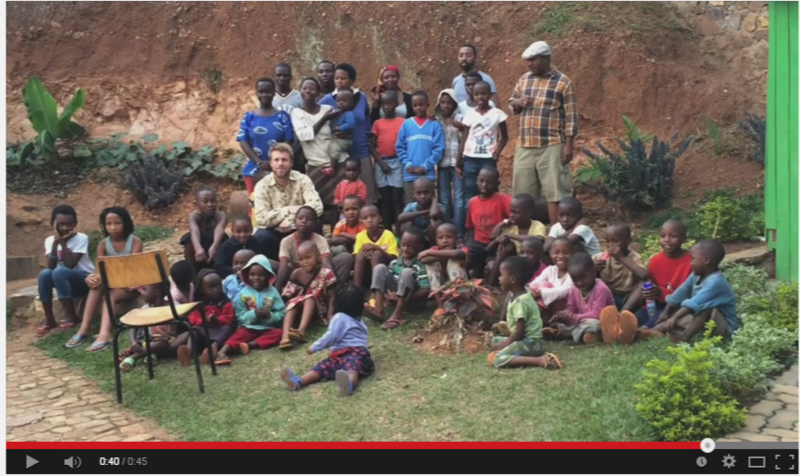 In 2014, the way he chose was to open a reading center in his country, Rwanda, the “Kigali Reading Center”. 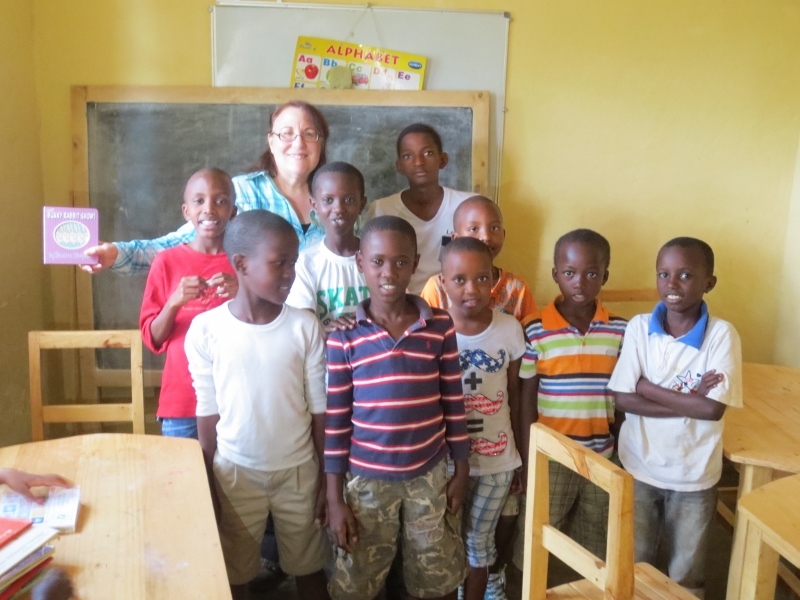 It now serves over 100 children per week, with only three staff members, and some volunteers. 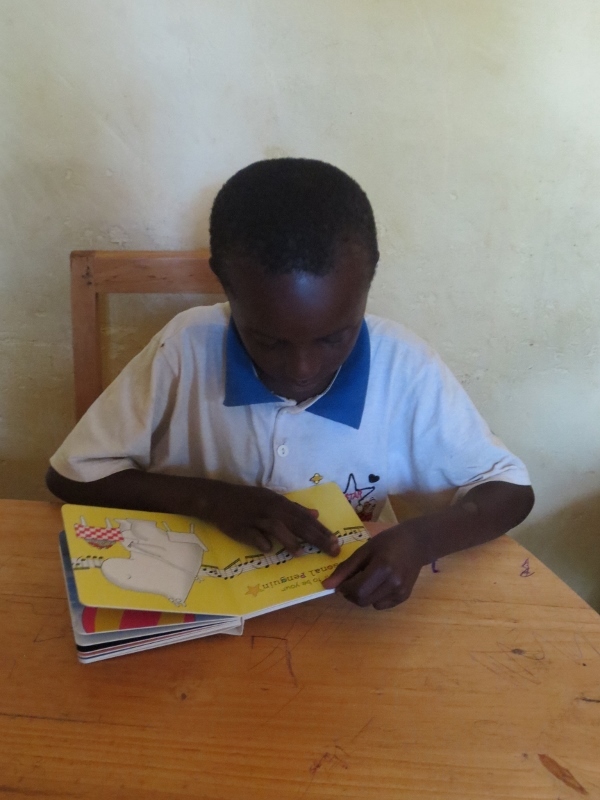 Inspired by this story, and on the advice of colleague and friend Michael Morand, whom I had told I would be attending an international conference in Kigali, Rwanda, I stayed an extra day to be able to visit a site that no one else at the conference knew about – The Kigali Reading Center. I am glad I did. Minutes from my hotel, picking my way down the steep, eroded, packed earth path was an adventure in this “Land of a Thousand Hills” (Pays des Mille Collines) that I had only seen by bus. There was even a bit of garbage, common in cities rich and poor around the world, but banished from the rest of Kigali, capital city of a country where plastic bags are banned. The Center is located in a neat four-room house. It has just enough electricity to light a few light bulbs, some of the time. Two rooms were empty, as they still need furniture. One of the rooms served both as a library, with books ranged on simple yet sturdy wooden shelves, and a story room for the younger children. 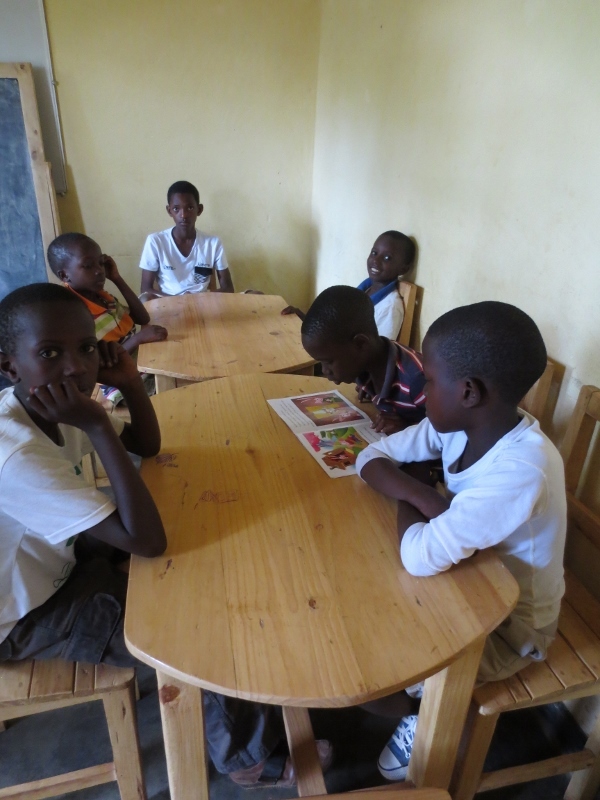 The other served as a classroom, stocked with sturdy wooden tables and chairs. 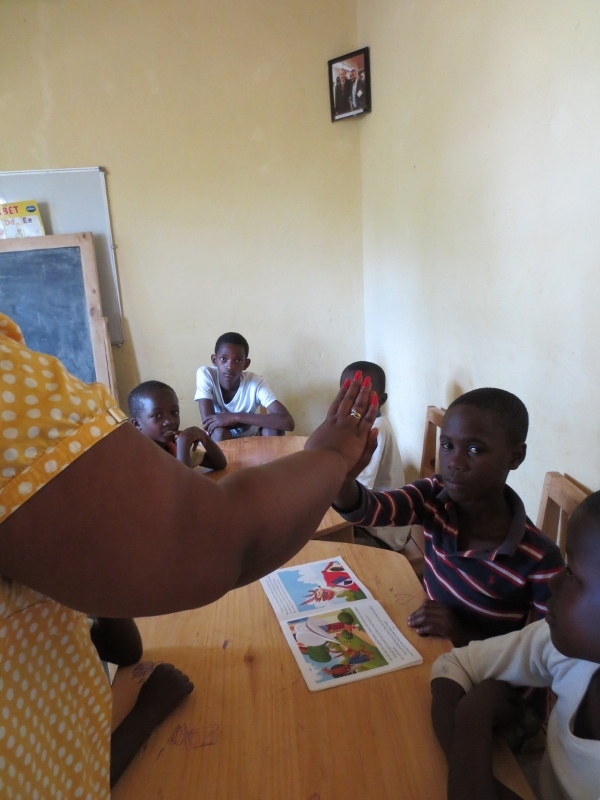 The schools are overcrowded, so they operate on double sessions. 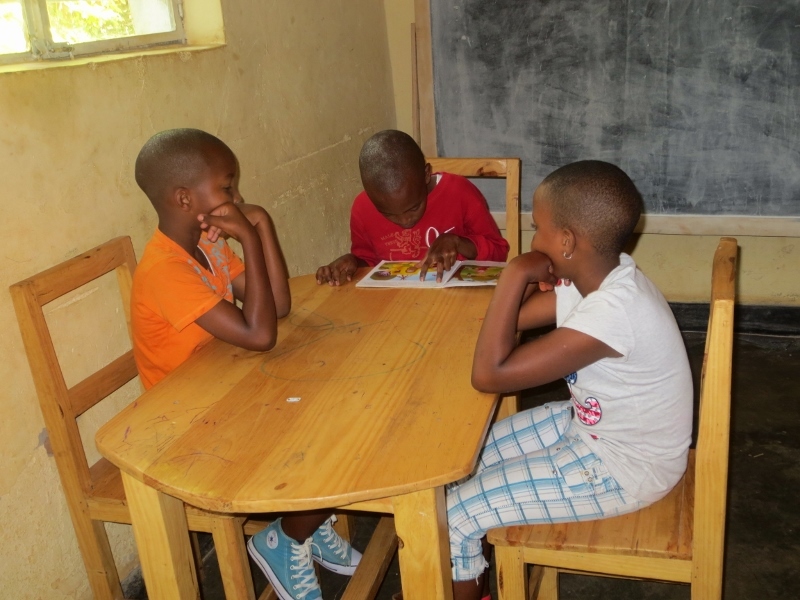 The students with school in the afternoon attend the Kigali Reading Center in the morning, those with morning classes attend the Center the afternoon. 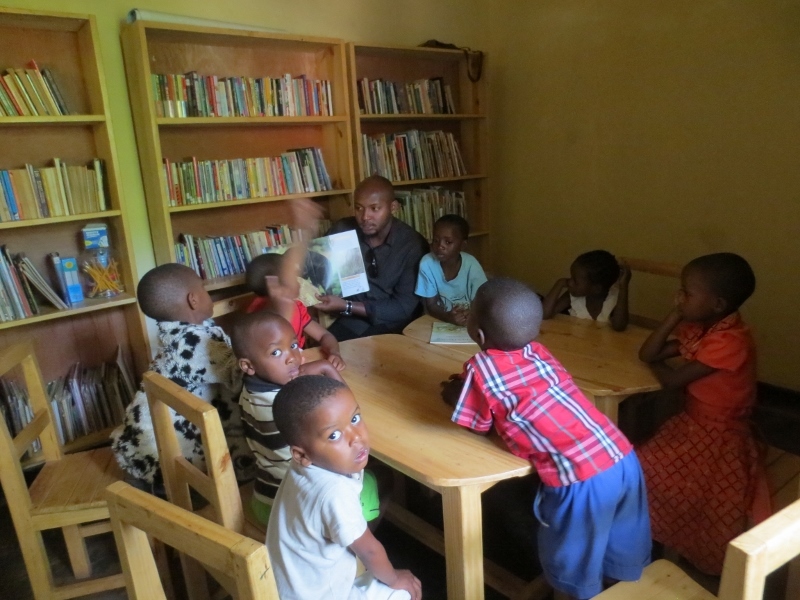 In the library, Maxime was reading to the 3-6 year-old pre-school group. 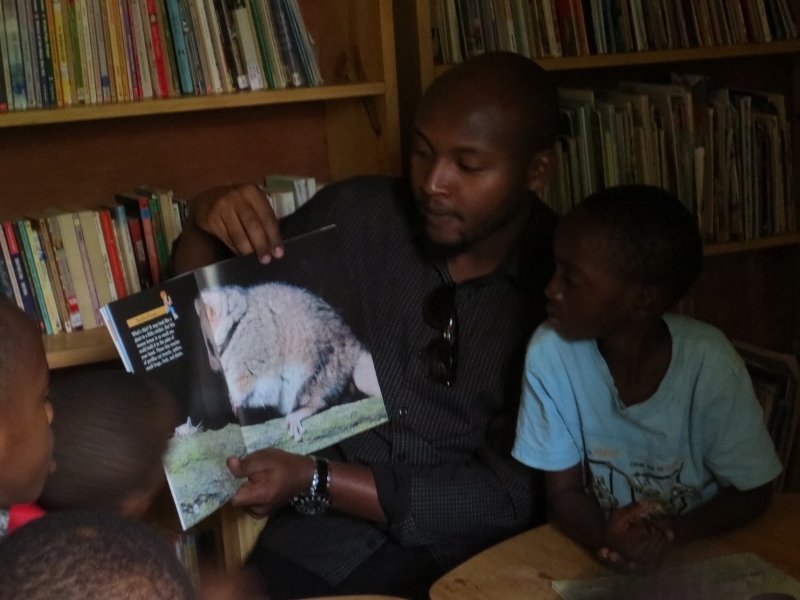 He was very gentle, and the children enjoyed the session. 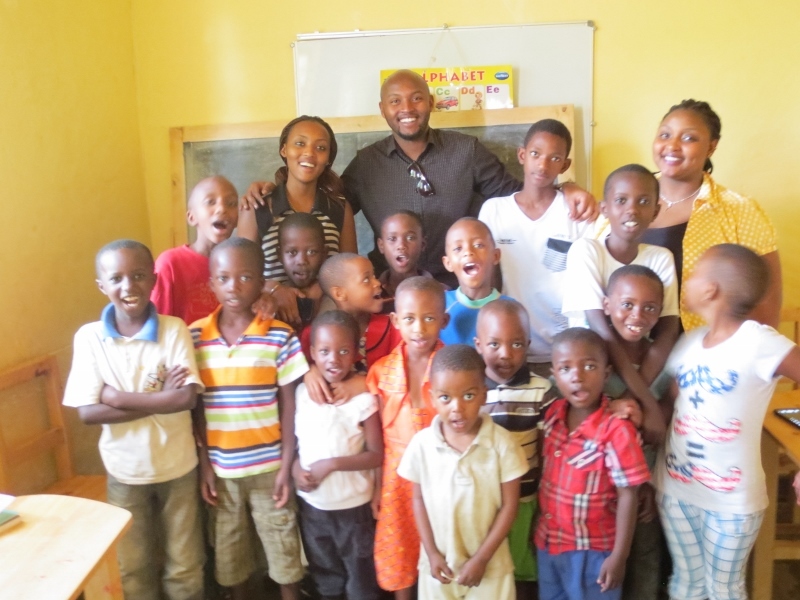 In the classroom, the KRC manager Grace, and staff Giselle were reading to a class of around 15 kids. 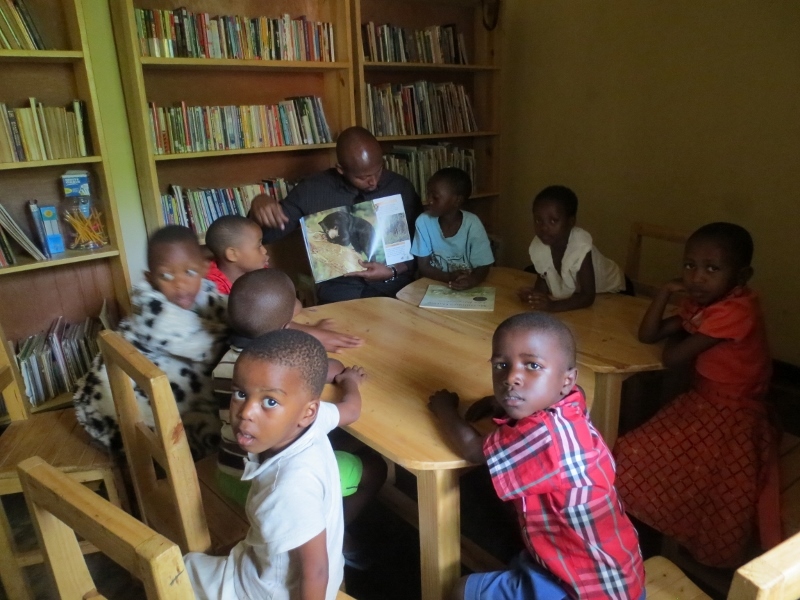 I stood and listened for a while, but then asked if I could listen to the children reading. They said “yes” and switched. 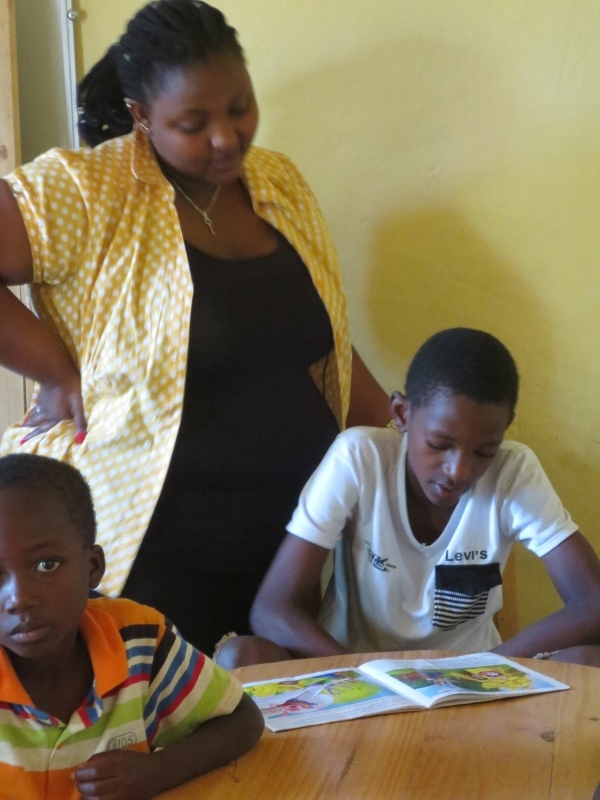 The children took turns using the same book, each reading a few paragraphs, with teachers stepping in to gently help them with difficult words. 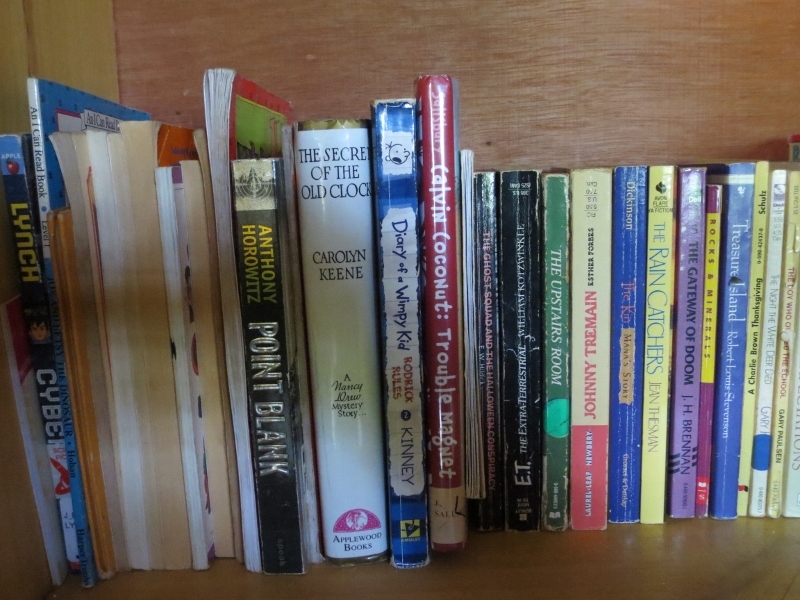 But, watching the kids, who did not always appear to be thinking conceptually about what they were reading or listening to, I wanted to try something different. Back at the Yale Bookstore, I had picked up a packet of three books by Sandra Boynton. The “Your Personal Penguin”, “The Bunny Rabbit Show”, and “Fifteen Animals.” I unwrapped them to show that they were new, and picked one at random, the Personal Penguin book. A tall boy named Rodney started fearlessly. 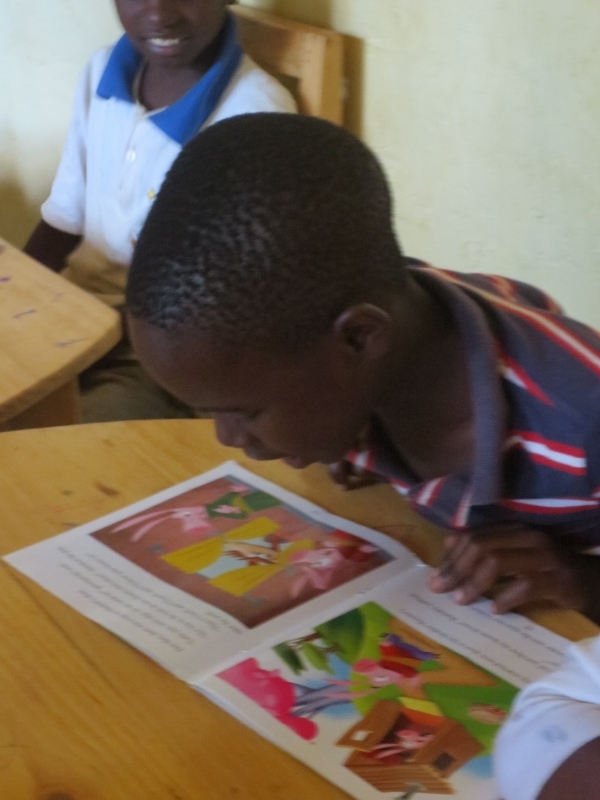 But when it was Jason’s turn, he was shy, so the teachers allowed him to hold off, and handed the book to another student. 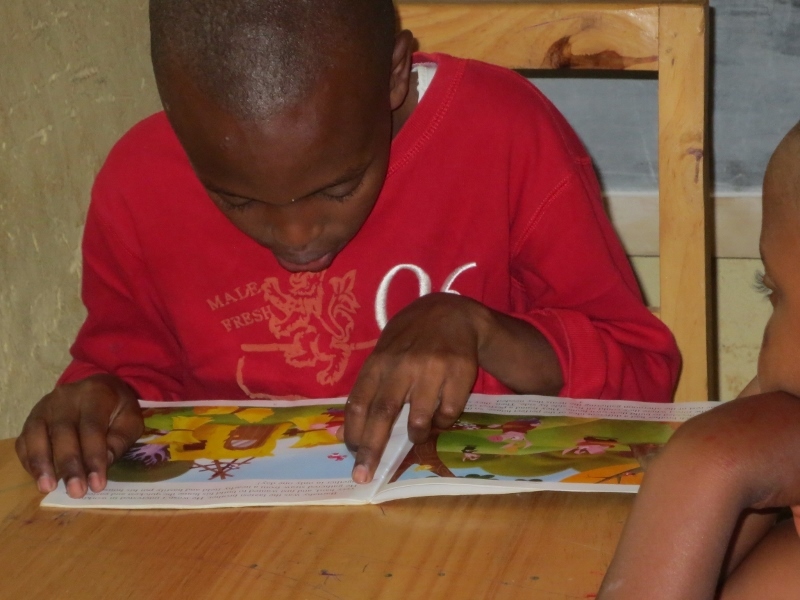 As they read, with occasional help from me and their teachers, I wondered if the book made sense to them. So I asked, does anyone know about penguins? Do they live in Africa? Rodney was the only student who knew that Penguins were birds that lived on ice, not in Africa. I asked him how he knew, and he replied that he learned it from watching cartoons on his TV at home. When we finished reading about having a Penguin as a personal assistant, I picked up the Bunny Rabbit Show. 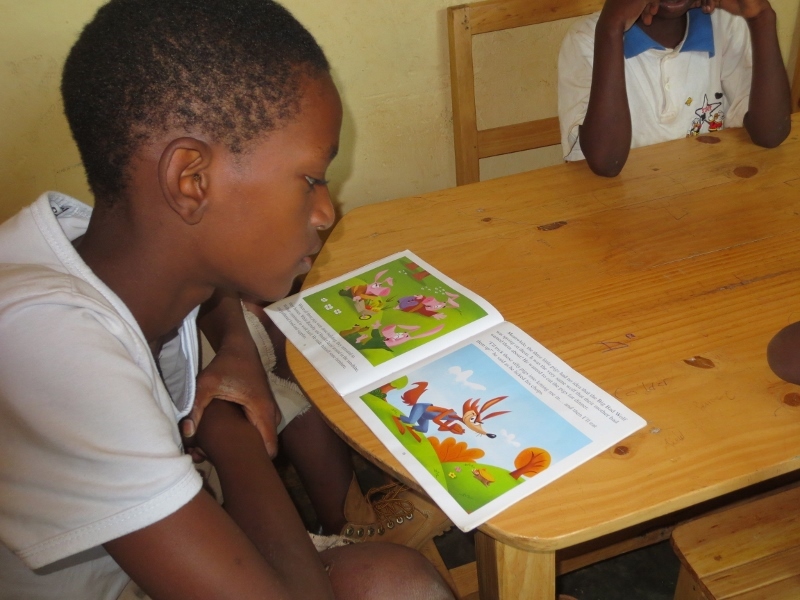 The next student started reading the story, but seemed oblivious to the gentle and playful humor embedded in the phrasing. There were also some rhymes, some predictable and some not. So, I read a sentence and asked them to tell me which words rhymed. They were not used to doing that, but when I gave them a word, say “hopping”, they could pick out the rhyme, “without stopping”, at the end of the sentence. Jason turned out to be really good at that, and, no longer shy, was eager to be the first to give the answer about each pair of rhyming words. Next, I asked for the “Fifteen Animals” book. I had not read it thoroughly, and Jason passed it along, having only glanced at the text inside. “Bob” he said, “the mouse is named Bob”. The teacher said “No”. I said, “wait a minute, I think he’s right”. It turned out that 14 of the 15 pets were named Bob, and the previously shy Jason picked up on that right away. Even though these three books were thick “board books” aimed at preschoolers, they had a subtle sense of humor, quirky animals, and a vocabulary words with a range of difficulty. As I was leaving, the kids, of about 7 to 11, were picking them up voluntarily, clearly interested in reading the new books for themselves! I did not go into the classroom with a pre-set agenda, other than learning how they did things. But, I have taught large-scale classes that I designed, so teaching is not foreign to me. 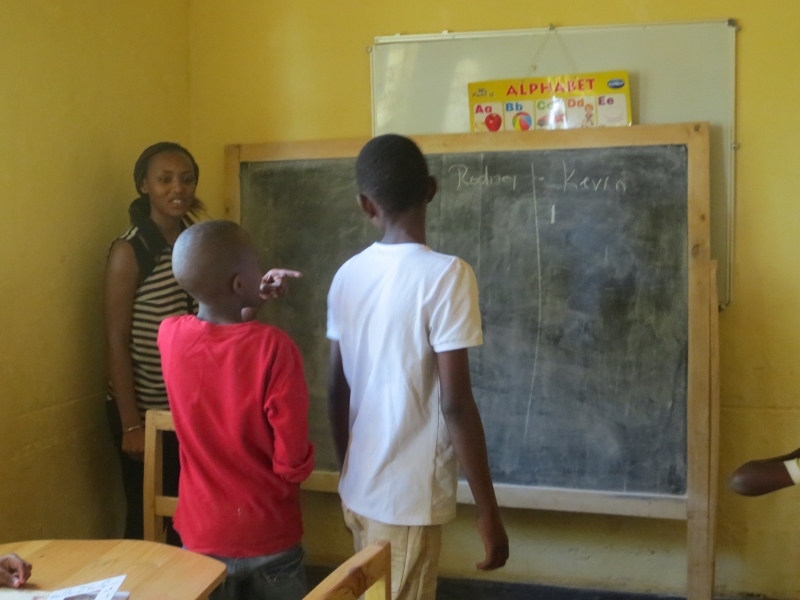 Basically, I was willing to watch the students closely, to see what they were understanding, and what was rote, and to help fill in those gaps. A teacher who knows them well could do an even better job. Sandra Boynton, the author, knows what she is doing. After graduating from Yale with a BA in English in 1973, she is cited as “an American humorist, songwriter, director, music producer, children’s author and illustrator”. She has written over fifty children’s books, seven others, has sold more than 60 million copies, and has garnered awards for her books and films.